Since the R32 GT-R became eligible in Australia for importation under the 15 year rule (and later under SEVS), the prices and local availability of the ‘Godzilla’ have tumbled. Reasonable examples of the GT-R can now be had from AUD$18,000, and availability and pricing of service parts and spares have also improved. More important, however, is the wealth of aftermarket parts and support. If you can put up with the somewhat dated 80’s styling and are prepared to get your hands dirty in the garage, it’s possible to achieve significant improvements on the factory Nissan coupe – without sacrificing reliability, driveability or fuel economy. Despite many examples being 20 years old, GT-Rs have stood the test of time remarkably well. 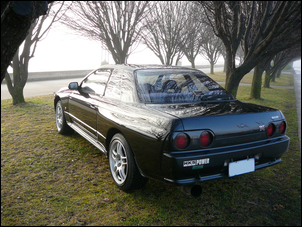 From an engine-tuning point of view, by far the biggest weakness of the factory R32 GT-R is the ceramic-wheeled turbines. A common modification on stock GT-Rs is to disable the factory boost solenoid, which raises boost to 14 psi. However, this usually leads to one of the ceramic turbine exhaust wheels (normally the rear turbine) detaching from its shaft and finding its way into the catalytic converter. 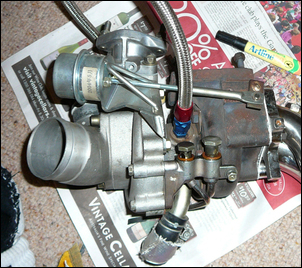 On any GT-R you are considering purchasing, check to see if the boost solenoid has been pulled. The factory oil pump drive is also a known weakness. R32 models had a narrower oil pump drive, which over time causes the factory pump to fail (this deficiency was corrected in later models). When buying an R32, particularly one with a lot of miles on the clock, be sure to run an engine compression test. Also check for blue oil smoke, which could indicate premature engine wear from high-rpm oil starvation. Now that some R32’s are 20 years old, it is not uncommon for the engine to have been rebuilt. If the engine has been rebuilt, find out whether a wider pump drive ‘collar’ has been fitted to the crank (or the crank replaced with a later version). 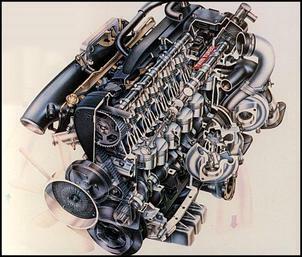 The RB26DETT engine, first found in the GT-R in 1989, was used in subsequent models until 2001. A 12-year production run means there is fantastic aftermarket support, servicing parts availability, and an active secondhand market. In addition to import wreckers, there are dedicated aftermarket parts suppliers; online auction sites such as eBay; and internet forums which provide a classified advertising service for members, as well as often running ‘group buys’ to obtain discounts on new parts from traders. To get the best prices on your new and used parts, it helps become familiar with all these sources. Don’t be afraid to seek out bargains from abandoned engine builds, or wrecks that are being parted-out. Even at near-stock power levels, the R32 GT-R is woefully under-tyred. Simply, the all-paw traction just failed to live up to its reputation. Thankfully, the GT-R shares its stud pattern and offset with a range of other Japanese sports coupes of the same era, including the Z32 300ZX and Toyota Supra. Finding aftermarket wheels is therefore a simple matter. 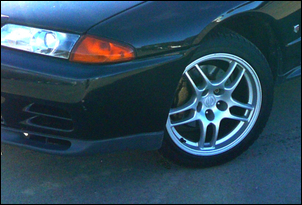 I opted for a set of R33 GT-R rims – being a single-piece forged item, they are strong and lightweight, and at 9 inches wide, present a noticeable upgrade in traction. Being only an inch taller and wider than standard, they are also street-legal. Cars are now commonly sold with 17 inch wheels, and tyre costs have reduced accordingly. Expect to pay from AUD$800 for a reasonable set of rims in good condition with the tyres still having usable tread. It is very uncommon to find a GT-R that retains its factory exhaust. 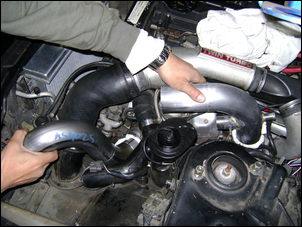 However, from a performance perspective, a free-flowing exhaust is a cheap and effective upgrade. On the off chance that your GT-R requires an exhaust, a good-quality, second-hand stainless cat-back system can be had from AUD$400. Add another AUD$400 for second-hand front pipes and larger catalytic converter. As with the exhaust, very few grey-import GT-Rs arrive in Australia with the factory airbox in place. New air filter assemblies can be had from AUD$300, with good condition used setups from half that price. With a free-flowing exhaust and air intake in place, the first of the ‘big ticket’ expenditures is a set of turbochargers. There is a wide range of modern, ball-bearing steel wheel turbocharger sets on the market that bolt up directly to the R32 factory twin-turbo manifolds. The HKS 2530 turbos have become the default choice for bolt-on turbo upgrades on moderately-tuned GT-Rs, and are similar to the ‘N1’ units on R34 model GT-Rs. They are an oil-and-water cooled ball-bearing turbo with steel wheels and can therefore handle much higher boost than the factory ceramic items. I sourced my set from a popular Skyline internet forum. The seller claimed less than 5,000 kilometres of use. 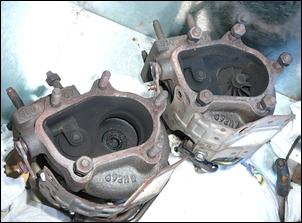 Pre-purchase inspection confirmed that the turbos had no shaft play or end float, and were otherwise in near-new condition. Including HKS adjustable wastegates and braided water feed lines (which make installation much easier) these cost AUD$2300. This is towards the more expensive end of what is available, and ‘N1 spec’ ball-bearing turbo pairs are often listed from AUD$1000. If buying online, try to inspect before purchase, or have a clearly agreed returns policy with the vendor. If buying from a private seller, be very sure of their reputation. While the engine bay on the passenger-side of the R32 GT-R is pretty tight, replacing the OEM turbos with aftermarket units can be completed with basic tools - just follow the procedures in the service manual. It is a straightforward but time-consuming task – allow a full weekend if working with a mechanically-minded friend. I strongly recommend obtaining a set of flexible-head, ratcheting spanners – they are especially useful for removing and replacing the exhaust manifold nuts, and makes the whole process far less painful. With the air intake piping installed, the under-bonnet appearance is unchanged – great for any unplanned kerbside inspections that may occur. 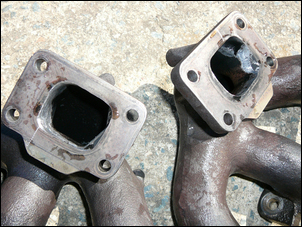 Replacing the turbochargers requires removal of the factory cast-iron manifolds from the engine. If you are going to replace your cast-iron manifolds, this is a good opportunity – however, cheap tubular manifolds have a reputation for developing cracks. More expensive, name-brand stainless manifolds have a greater reputation for reliability, but come with a significant price tag. Given the cost of reputable tubular manifolds and the desire for reliability, I decided to stick with the factory cast-iron manifolds. Note, however, the OEM manifolds have a restrictive “lip” in the turbo flange that matches the turbo inlet to the stock turbines. My aftermarket turbines had a much larger inlet: this problem was solved in a few minutes using a die grinder. Once in and running, the responsiveness of the HKS units proved indistinguishable from the factory units – the only difference being, they can still be heard spinning for 20 seconds after the engine has been switched off! 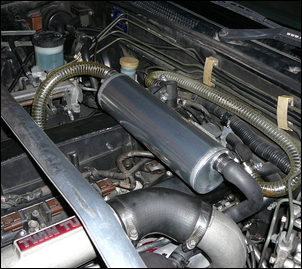 The factory dump pipes on the R32 are reputed to create a significant restriction – and this is apparent on visual inspection. The dump pipes must be removed to replace the turbos, so now is a good time to replace them. 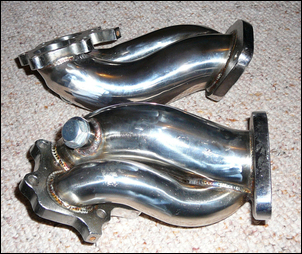 I sourced a cheap set of stainless, split-flange dump pipes from eBay for AUD$180. The quality of the construction was very good, with solid, clean welds, which have held up well despite the constant heat-cycling inherent in their use. However the fitment was not very precise and required significant modification. The vendor reimbursed me for the costs of these modifications, so the total cost was unchanged, but in hindsight, I advise paying slightly more (say, AUD$400) for a pair of dump pipes that will bolt straight up. Be aware that there are two different diameter oxygen sensors fitted to various models of the GT-R – make sure your kit includes any required adapters. 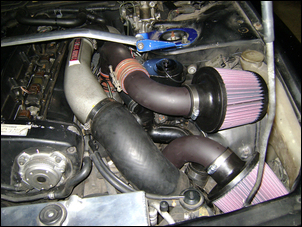 All RB26-equipped GT-Rs come factory-fitted with large front-mount intercoolers. There is some debate as to how efficient the stock item is, how much intake restriction it creates, and the power level at which it should be upgraded. The factory intercooler is 60mm thick. Cooling Pro tube and fin intercooler upgrades are available in 70mm and 100mm thicknesses from AUD$399. 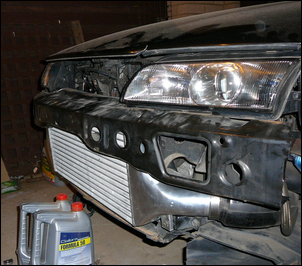 I opted for the larger 100mm intercooler, which required some trimming of the front bumper reinforcement. Despite the larger physical volume, the intercooler created no noticeable change in response, however the top-end performance was improved. The larger intercooler will no doubt support my future upgrade plans. Cooling Pro intercoolers are available from Just Jap Auto Imports, in Kirawee – the guys also threw in some T-clamp hose clamps free. 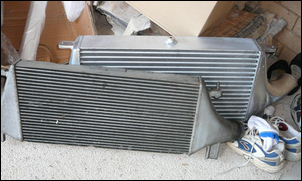 You would struggle to find a cheaper, good condition used intercooler. Installation, including removing and refitting the bumper, is a solid day’s work. Basic tools – including an angle grinder if opting for the 100mm core – are all that are required. 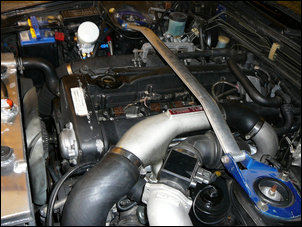 In principle, there is nothing wrong with the R32 radiator – provided it is in good condition. 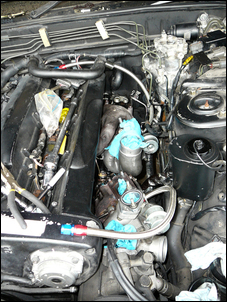 However, as with any 20 year old car, the radiator may be blocked with gunk due to lack of maintenance. The radiator is one area I didn’t want to take a chance, especially given the 40 degree plus days that can occur in Canberra summers. Given that it can cost AUD$150 for a servicing a standard radiator, I opted to upgrade. A 40mm dual core alloy radiator, also from Just Jap, provides a substantial upgrade at minimal extra cost (but much more peace of mind!). At the time of writing, the R32 radiator is available from AUD$329 and installation is no more than a leisurely afternoon’s work. By far the biggest bargain of my budget GT-R upgrade was the set of 1000cc Sard injectors, scored for AUD$405 from eBay. Now, these are complete overkill for mild levels of streetable power, however at that price I couldn’t pass them up. Sets of 700cc and 800cc injectors regularly come up for sale on eBay and elsewhere from AUD$400, often attached to an aftermarket fuel rail. Conventional wisdom has been that it is difficult to achieve a stable idle with injectors larger than 800cc – however my car idles like factory. At 1000cc, there will be plenty of headroom for future upgrades. Note there is some debate about what level of power requires an injector upgrade. There may be some scope to increase fuel flow through use of an aftermarket fuel pressure regulator. However, given the availability of low-cost, high-quality injectors for the GT-R, I think there’s no reason not to upgrade. Changing injectors requires either modification of the factory ECU or a new engine management system (discussed below). Again, there is significant debate as to what power levels a good condition GT-R fuel pump will support – but with question-marks over how well a 20-year old part would be performing, I opted to upgrade. High-flow Walbro pumps can be had from AUD$200, however these require some modification to fit. 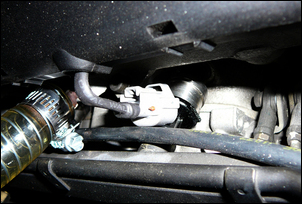 If going the cheaper option, be sure to use proper ‘in tank’ fuel line which is laminated on both sides. 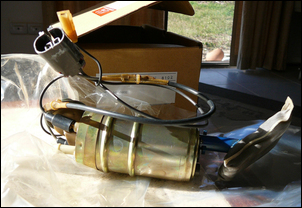 Many fuel pump upgrades fail after a few months due to incorrect fuel hose being used. More expensive items, such as Nismo or Tomei, will drop straight in to the factory cradle and have factory electrical connectors, but be prepared to pay up to AUD$500 depending on the strength of the Australian dollar. The drop-in model fuel pumps can be installed in under an hour. Two key considerations at this point are controlling the fuel injectors and boost. There are a range of approaches to each of these that vary markedly in price. The factory R32 GT-R ECU can be modified to run larger injectors. This requires soldering of a ‘chip’ to the ECU, and adjusting the factory values for the opening time of the injector. This is by far the most cost-effective means of running larger injectors. In terms of boost control, options include a pneumatic boost tee, available from under AUD$100, an electronic boost controller, right through to standalone engine management. I opted for a fully programmable, standalone engine management package, the Vipec ECU. At a cost of AUD$1666, the Vipec offers Windows/USB based programmability, interacts with the factory sensors (including boost solenoid) and allows the deletion of the factory air-flow meters. 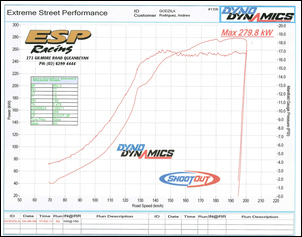 The ECU was fitted and tuned by Glen at Extreme Street Performance (ESP) Racing in Queanbeyan. Assuming no other mechanical issues, ESP will install and tune the Vipec from AUD$900 (I was also thankful to Glen for identifying and correcting a number of mechanical and maintenance problems that I hadn’t noticed, even after spending so many hours under the bonnet). The Vipec ECU runs a MAP-based tune, which meant the factory air-flow meters were now redundant. I used this opportunity to replace not only the air-flow meters, but the complex sections of convoluted rubber pipes that lead to the turbo inlets. 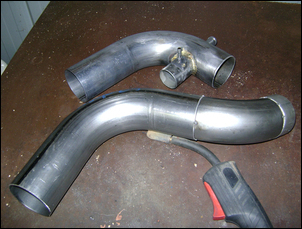 The new pipes were fabricated using mild steel 2.5 inch mandrel bends. 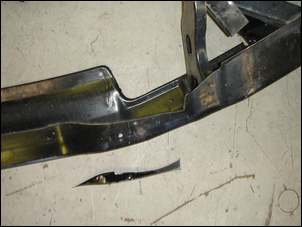 The sections were cut to size, and tack welded in place. The fitment was then checked in the vehicle, with the new pod filters in place. A number of iterations were required to get a satisfactory fitment which allowed the pods to sit in place comfortably with the bonnet closed. Once the fitment was correct, the pipes were welded, and then painted matt black. The end result is relatively inconspicuous. The pod filters are K&N washable oiled type, which have a 2.5 inch neck, (part number RX-4950). 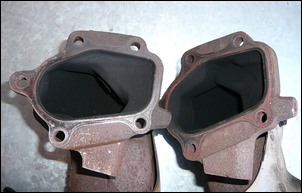 Running 17 psi on an internally stock motor can often give rise to blow-by – and examining the inside of sections of the inlet tract showed that in fact they were coated in oil. Just Jap stock a simple catch-can solution for RB26 motors at AUD$195. 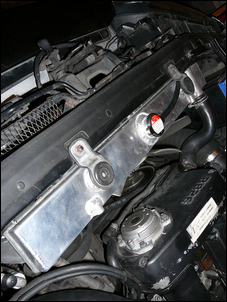 The can attaches just near the cam cover ventilators and the filtered air vents to the factory PCV valve on the inlet side, and just before the turbo on the exhaust side. Installation is straightforward and provides an effective solution for blow-by in boosted RB’s. 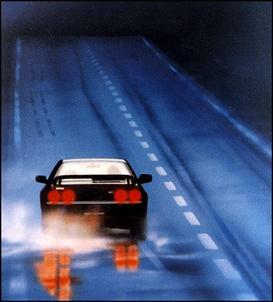 In terms of driveability, all the good characteristics of the R32 GT-R have been retained or improved upon. Even with the 1000cc injectors, the GT-R is happy to idle smoothly at just over 900 rpm, and to cruise along with the traffic at 2000rpm. Fuel consumption is about the same as before – roughly 13 litres per 100km when driven normally with the occasional squirt. As with the factory setup, the HKS turbos begin making positive manifold pressure between 2500 and 3000 rpm. However, from there the performance is drastically transformed. From about 4,000 rpm, the RB26 really comes on song, and keeps pulling all the way to the redline. Boost is set at a conservative 17 psi. Overall, it’s a setup that allows the GT-R to be used as a daily driver, but with enough power to make things exciting when the opportunity presents itself. This story provides one example of how a stock GT-R was modified to give 280kW at (all) the wheels. I paid around AUD$7500 (on top of the cost of the car) to get to this level. The final cost could be much less than that, depending on your ability to modify the factory ECU; your bargain hunting skills; and of course any modifications that are already on the car when you purchase it. Thanks to: ESP and JustJap.